For several years GLTC has entered teams in the locally run Junior Chelmsford League. This gives our players an opportunity to play against a small number of local clubs both home and away.These matches are superb experiences for our young players and are good fun. This coming year each team will have a named coach to run it with parental help to organise the practical details. Match skills will also be part of the coaching sessions. This season we have 12 and Under and a 14 and Under teams. Home matches are played on a Saturday evening from 5pm onwards. 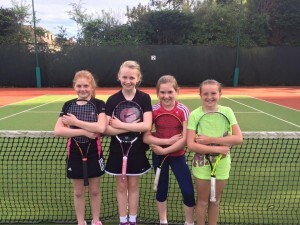 The Club hopes all juniors enjoy the matches and that we shall enter more teams as the years go by. Thanks to the parents and the coaches who make these teams possible and also the youngsters who are always a credit to the club.